Low carb diets are very popular just now. Often called keto diets, low carb diets are popular among the gym community with many bloggers championing the benefits of “going keto”. But is this form of dieting actually beneficial to our health? Or is it slowly doing harm? Why Not Follow a Keto Diet? Keto is a contraction of the word ketogenic or ketosis, which describes the body’s ability to switch from using carbohydrates for energy, to using fat. When we reduce our carbohydrate intake to such a degree that the body get’s insufficient energy, then it has an ability to switch to a mechanism that uses fat. Fat breaks down to form ketones through a transformation process in the liver. This is exactly the same process that occurs during starvation, or when the body receives very few calories. The key to this diet, therefore, is eating mainly protein and fat, and very little carbohydrate. In fact, some diets call for a diet very high in fat! Our bodies cannot exist on protein and fat alone, it needs vitamins, minerals and other essential nutrients you can only get from plants – especially dietary fibre and vitamin C.
And so the only permitted plants in this diet are vegetables that grow above ground (so no potatoes, carrots, beetroot among others) and fruits low in sugar. This diet, therefore, is largely an animal-based as opposed to a plant-based diet, as it relies heavily on fats, meats, dairy, eggs and to some degree, nuts. There is a lot of science showing how keto diets are great for weight loss and keeping weight off. The main benefit of keto over standard diets is there is often no need to calorie-count. However, in terms of how much weight is lost or whether it’s easier to keep off, studies don’t show much difference between keto and other diets. The biggest benefit of following a ketogenic diet is its dramatic impact on sugar control for people with type 2 diabetes. It is not recommended for type 1 diabetes without further scientific research. Improve insulin sensitivity – although I could not find any studies to back this up! The science on ketogenic diets and diabetes is in its infancy, with few long term studies to show whether we adapt over time. We know that bariatric surgery (stomach bypass) can reverse diabetes, but we don’t know for how long this effect lasts. This type of surgery effectively mimics low carbohydrate diets, because an extremely restrictive (very low calorie) diet is required which also puts the body into a ketogenic state. The origins of ketogenic diets are found in the early treatment of neurological disorders, particularly epilepsy. Until anti-epileptic drugs were discovered, ketogenic diets were the go-to treatment. Today, it is still used in children who are failing to respond to medication. There is no one type of keto diet, there are in fact four! The chosen type of diet is carefully selected by medical professionals according to the circumstances of the patient. Dietitians are fully trained in ketogenic diets and their therapeutic usages. This diet has relied largely on the premise that we’ve been lied to for years about the health effects of saturated fat. But the recommendations on saturated fat have just been reviewed by the Scientific Advisory Committee on Nutrition (SACN), and re-visiting all the evidence, their advice is that the recommendations should not change. The final report is yet to be published, so we’ll know soon enough whether the government will honour SACN’s recommendations. However, there is no argument that too much of the wrong kind of carbohydrate in our diet is unhealthy. But there is if there is too little of the right kind! 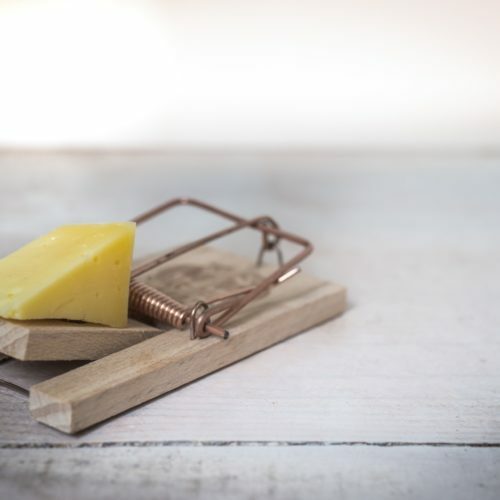 New research published in the Lancet suggests that, when we follow low and very low carbohydrate diets, we far too often consume more saturated fat from animal sources. In fact, the Diet Doctor recommends we increase our consumption of animal products. Under the list of foods to eat, the very first is meat. It even tells you to eat the fat! High fat diet could also increase blood pressure – possibly through inflammation caused by high fat consumption according to a recent study. High blood pressure is a major cause of heart disease and stroke. In August 2018 – the European Society of Cardiology published a meta analysis of seven prospective cohort studies with 447,506 participants and an average follow-up 15.6 years. They found 15%, 13%, and 8% increased risks in total, cardiovascular, and cancer mortality with low (compared to high) carbohydrate diets. The researchers believe that the reason for this is that many people following low carbohydrate diets such as the one recommended by the Diet Doctor increase their animal protein in excess of plant protein. High fat diets have also been shown to change the gut microbiota in a study involving an artificial intestine, which simulates the environment found in the human gut. Using faecal (poop) samples from volunteers, the researchers were able to recreate a bacterial environment comparing high fat and high carbohydrate diets. They found that the altered bacteria favoured strains that breakdown carbohydrates and proteins to produce byproducts that act as antioxidants which help counteract DNA damage and harmful effects of free radicals. When we eat a high carb diet, the research team noted that our guts form a bacterial environment that is conducive to good health and protective against diseases such as colon cancer, whereas a high fat diet can have negative consequences purely due to the shift in gut bacteria. We’ve also known for some time that consuming wholegrains actually prevents type 2 diabetes, and recent research suggests that it doesn’t actually matter which you choose (oats, wheat, rye etc), as long as it’s not the refined type. Wholegrains are so important, that they should not be eliminated from the diet at all – so we shouldn’t demonise all carbohydrates. In fact, an eminent study published in the Lancet looking at diet-related global burden of disease found that wholegrains, nuts and fruit are among the few plant-based changes we can make to improve our chances of early deaths from diseases such as heart disease, cancer and diabetes. There is also the contradiction that, by reducing carbohydrates to very low levels, the body will get its calories from the fastest route possible – which may not always be from body fat. Protein can be used to make sugar, and the quickest way of getting this is by breaking down muscle tissue. So following a keto diet for the gym community could be counterproductive. However, many people following a keto diet will not only increase their consumption of fat, but may go well over the 1g of protein per kilo of body mass often cited as the amount needed for the average human being. So is there a dangerous level of protein like there is with fat? A great paper to start was written in 2016, and this suggests that 2g of protein per kilo of body mass is the maximum amount we should be considering. Over this, we could start facing some health issues. Some elite athletes and body builders will go way over this, but they very often have the guidance of professional sports nutritionists. The truth is, there are insufficient long-term studies that show the health effects of excess protein in human adults. We may well have an advanced ability to adapt to high protein, high fat meals – but only if we’re very active. Take the Inuit communities of Greenland and Canada – their diet is almost exclusively animal-based (fish) as vegetation is highly limited in these regions. They have adapted to this diet over time, which shows in their genetic fabric. But as soon as Inuits move to urban areas and change their lifestyle to a Western one, their health deteriorates . So when we look at the Inuit diet to justify increasing protein and fat in our diets, we’re deliberately ignoring generations of complex genetic adaptations that you cannot expect in just one lifetime. Studies done on humans eating high protein diets have found that some people can tolerate it, and others suffer stomach upset, dizziness or headaches, fatigue – but worse, could over-burden the liver and kidneys to detoxify metabolites from protein digestion. Research is showing increasingly that restricting carbohydrates could have long term health consequences, but what about on our weight? We know that eating the wrong kind of carbohydrates – that is, refined sugar found in cakes, sweets, confectionery goods – can make some of us overweight. And rot our teeth too. But this is not the case for all carbohydrates. A randomised controlled trial conducted in the US on overweight participants found that, over a 16-week period, people who followed a 100% plant-based diet (very high in carbohydrates) but did not change their physical activity habits. The control group kept eating as they were and did not change their habits. Neither were asked to count calories. Using the keto diet short-term to lose weight is probably safe enough, but adapting it as a long term lifestyle has not been adequately tested and possibly never would be for ethical reasons – particularly if there is a risk of long term damage to the liver and kidneys. A recent study found that following the keto diet requires absolute dedication. Cheat days are off the menu, which is something most dieters are prone to now and then. Canadian researchers found that a single dose of carbohydrates whilst following a keto diet could have dangerous side effects. The effect of a sudden spike in blood glucose was damaging the blood vessel walls to an extent found in patients with cardiovascular disease. Whilst this study was small and only conducted on young males, it does suggest that following diets our bodies are not designed for long term can and does have consequences. We were born with a mechanism for digesting and processing carbohydrates for a reason, we need carbohydrates as the bulk of our nutrition for a reason. The keto diet definitely has a place in therapeutic strategies, and many more studies are required to look at the long term efficacy versus the risks of these types of diets. For the general population following these diets, I would suggest some caution as a long term lifestyle change. There is no reason why reducing carbohydrates is a bad idea – but doing so in favour of animal protein is most definitely a bad idea. If you really love the idea of following a keto diet, try and avoid increasing meat and dairy (especially milk) consumption. The scientific evidence is mounting far more in favour of a plant-based diet than it is an animal-based one – irrespective of whether meat is organic and grass-fed . Meat is not the enemy however, there’s no reason not to enjoy it on a flexitarian diet. Reducing carbohydrates is fine – but do so by reducing the amount of refined carbohydrates such as white bread, white rice, white pasta, white flour, cakes, biscuits, pastries and anything made with added sugar. Consider reducing alcohol too, and think about where all the added sugar is coming from. Typically breakfast cereal, jarred and tinned foods (such as pasta or curry sauces, tinned soups etc) are relatively high in sugar. Look at the ingredients list, is sugar one of the first items? If so, it’s going to be high in sugar. Look for “hidden sugar”, by this I mean manufacturers using the scientific name for sugar, which is easy to spot as the ingredient will end in the letters “ose” such as dextrose, sucrose, glucose etc. or they use the word “syrup”, such as inverted glucose syrup. If there are no ingredients listed, but you have a nutritional label, look under the section marked “carbohydrates”. Sometimes you are told how much of that is “sugars”. It means, added or free sugars. Anything more than 5% of the total is high! For example, the label below shows total carbohydrates = 22g. Of this, 6g is sugars (added or free sugars). (6/22)x 100= 27% – so 27% of the total carbs is sugar. Therefore, this product is high in sugar. It’s a cliche, I know – but don’t forbid yourself cake or pies! Your average life expectancy is around 80 years or so. It’s too short not to eat cake. Just don’t eat it for breakfast, lunch and dinner. Try a flexitarian diet that is based on vegetables, pulses, grains, nuts and fruit, with small amounts of meat and dairy. No food is bad food – it really is just down to the quantities of it we eat.